Basketweave Garden Rectangle (14'' x 19'Mini') Mini Basketweave is Chilewich's signature Basketweave in half time. Instead of four yarns over four, Mini Basketweave is two yarns over two, resulting in a quieter, less textural surface. 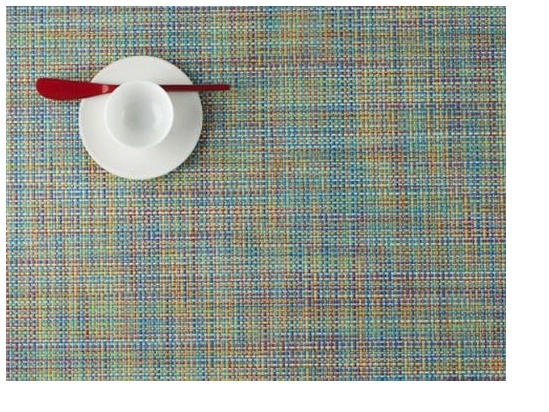 Available in a wide spectrum of colors Mini Basketweave will enhance and elevate every dining occasion. 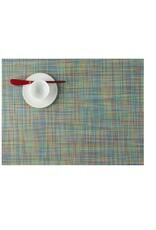 Mini Basketweave placemats and runners are suitable for indoor and outdoor use. Made in USA with TerraStrand® and Microban®.